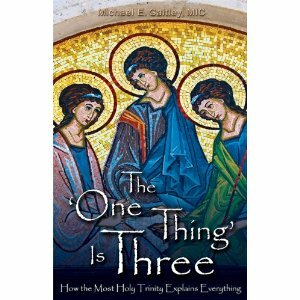 In The ‘One Thing’ is Three: How the Most Holy Trinity Explains Everything, Fr. Michael Gaitley makes a valiant attempt to simplify the mystery. “[This book is] meant to bring the Trinity home to our hearts [and]make difficult theology easy to understand.” The core of the mystery of the Trinity is the concept of communion – living in communion with God and others. The ‘One Thing’ is Three explains the Trinity in a way most people will be able to understand. Gaitley has made a concerted attempt to simplify some very difficult concepts, but it still could not be considered easy reading. One will not want to rush through this book, but rather spend some quality time with each section and allow the words and concepts to sink in. This book would be great in a group study or as a text in a college religion class.